On the many thematic guided tours through the Spreewald, visitors will be given an insight into the history, the towns and the traditions of the region stretching back many years. 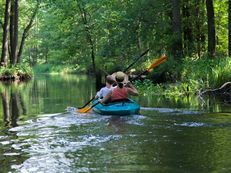 On a normal guided tour of the Spreewald, visitors will of course experience the extraordinary countryside of the UNESCO Spreewald Biosphere Reserve. But the thematic tours show that the Spreewald has much more to offer besides. 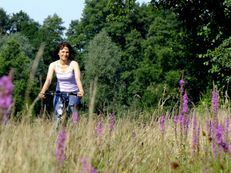 The guided tours on foot and by bike will give participants a comprehensive picture of the history of the region and its snug little towns, take them to some of the most beautiful sights of the region and act out some of the traditional customs and legends of the Spreewald. The history of the natural surroundings and the Spreewald's towns form the thematic focus of several tours through the UNESCO Biosphere Reserve. On a guided tour on the marshland nature trail, the guide will bring to life the ever-changing evolution of nature while different marshlands can be crossed on foot or by bike. Info boards by the side of the trail give further information on the history of the Spreewald countryside. The town chronicler of Raddusch will take participants of his history tours to the historical sites of the town, e.g. to the old smithy. Anyone wanting to learn more about the towns and their sights in the Spreewald should take part in one of the guided town tours through the Spreewald's snug little towns. On an Old Town tour or an Architectural Tour, for example, the focus is on the historical Old Town of Cottbus. Among other locations, there is a chance to view the old city walls. On a tour of Calau, participants will get to know the town where Kalau jokes come from, and along Witzerundweg they may even hear one or two. The gherkin town of Lübbenau also offers a guided tour of the town. The tour takes you through the bustling port quarter as well as into the historical town centre. If you climb Lübben tower, the tower watchwoman will reveal interesting facts about the town and Paul-Gerhardt Church. Arriving at the top, you will have a wonderful view over the Spreewald countryside. There are sights of a special kind on tours of the original scenes of the popular Spreewald crime thrillers. 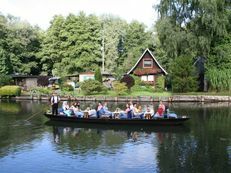 Fans of old Spreewald customs and traditions will find numerous guided tours on these subjects. 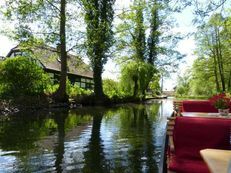 Two mythical tours take Spreewald's legends as their theme. The Calau mythical tour is conducted by bike or oldtimer bus and it will take you to various sights of the town shrouded in legend. Lübbenau offers a mythical walk on which participants will learn more about legendary Spreewald figures. 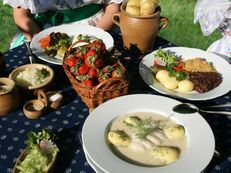 Participants of the Lübbenau gherkin tour or the Spreewald craftsmen's tour will get to know long-cherished traditions. The Spreewald gherkin is famous far beyond the boundaries of Spreewald, and the bike tour accompanies the gherkin from the field to the jar. On the craftsmen's tour, you can familiarise yourself with typical Spreewald trades such as costume embroidery or basket weaving.